At the beginning of the year, we decided to take part in the Certified Angus Beef Schools Competition. The aim of the project was to come up with an idea to promote Irish Angus Beef. Two groups from Transition Year took part in the project. Our idea was to make an education programme for primary school children to teach them about Irish Angus Beef called ’From Wellies to Bellies’. The other groups project was creating mascots for angus meat. The first stage of the project was to make a short 3 minute video explaining our idea as well as our general knowledge about the breed. Both groups were lucky enough to qualify for the second stage which required us to travel to Mullingar for an interview with key leaders of the projects sponsors. 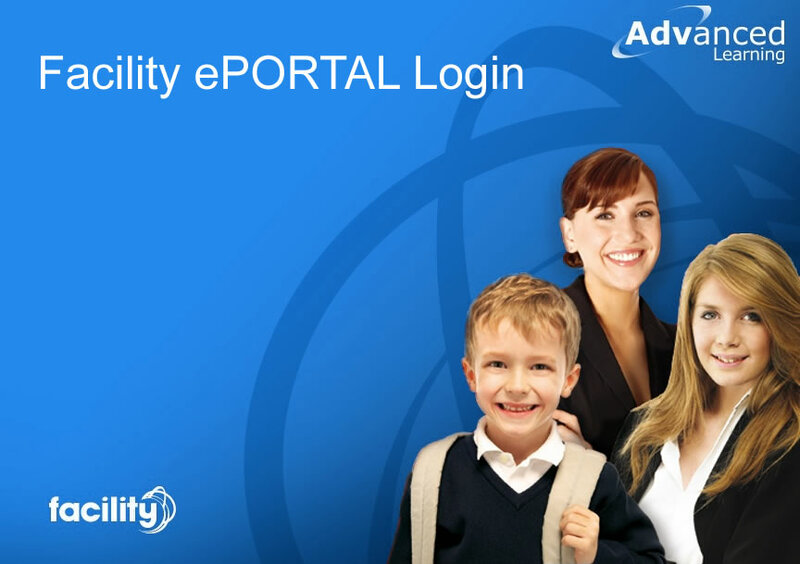 We then had a break over Christmas to develop the project ideas in preparation of the final stage. Hundreds of projects entered the competition and our two groups were in the top thirty who qualified for the last stage. 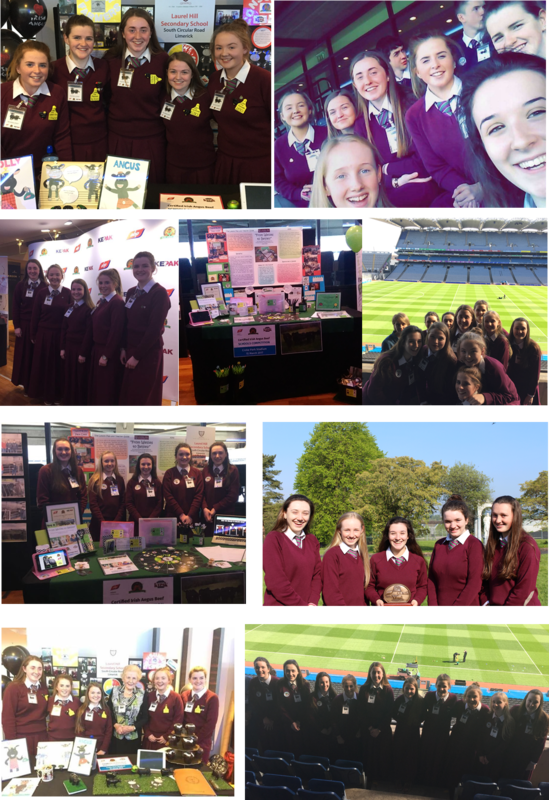 As part of the final stage, we had to go to Croke Park on the 15th of March and we set up a stand to present our project to more judges and members of the public. It was an early start of 5:30am that morning as we had to be up in Dublin by 8:00am. 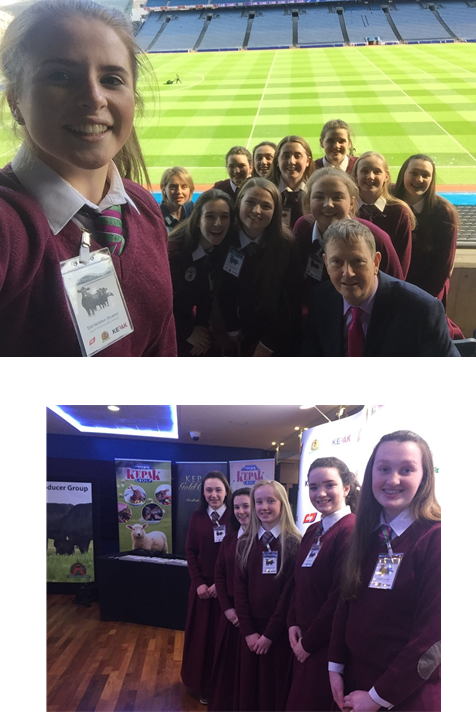 In Croke Park, five finalist projects would be selected to win 5 Angus calves at the Ploughing Championships this year. These 5 finalists would complete a project and one overall winner would be chosen to receive €2000 in November 2019. Croke Park was an amazing experience and both groups really enjoyed it. On the 27th of March, three organisers of the project came to the school and we were delighted to discover one of our groups had been successful in becoming one of the five finalists and winning the 5 Angus Calves. We will receive our 5 calves in September at the Ploughing Championships and rear them for 2 years. We are really looking forward to the challenge and cannot wait to get started! Overall, we really enjoyed participating in this project and it really helped us develop our confidence and our interest in the subject. We want to thank Ms Condon Gaffney for all her help and support with the project. Since Agricultural Science is a new subject in our school it was great that both groups got so far in the competition and did so well. We would all love to see more students taking part in the competition in the future as it is a fun and exciting opportunity. For many of us who wouldn’t have considered studying Ag Science for the Leaving Cert, it was an eye opener and now all who took part in the competition will study Ag Science.